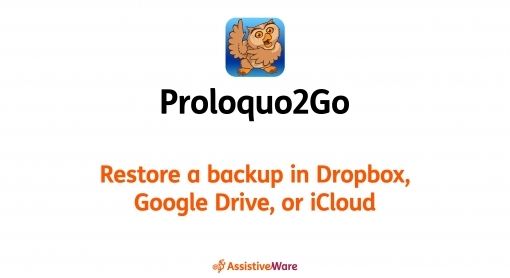 You can quickly restore backups in Dropbox, Google Drive, or iCloud from inside Proloquo2Go. 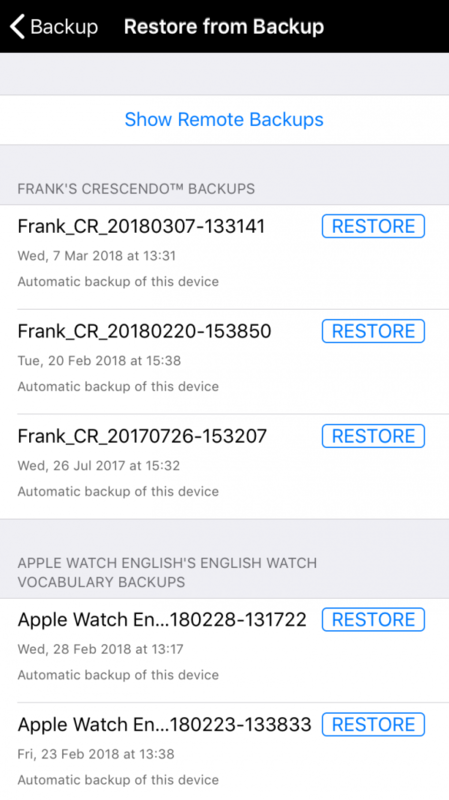 Tap Show Remote Backups to view backups saved outside of the app. Find the file you want to restore in the list. You may need to scroll down. When you find the right file, tap Restore on the right side of its row. 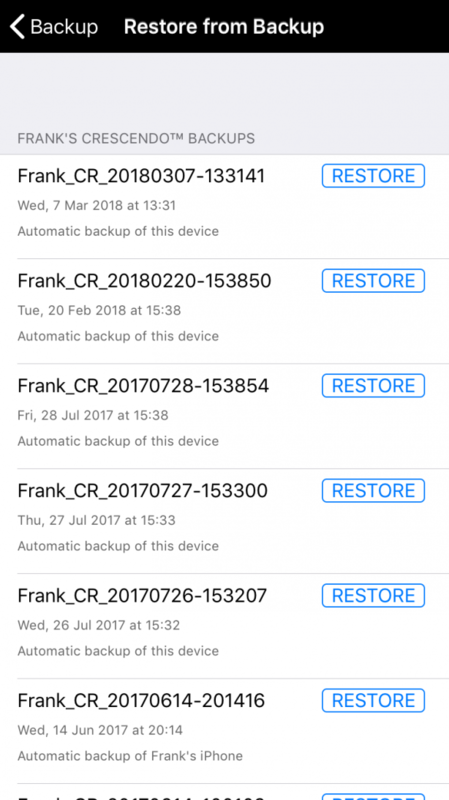 Choose which user to restore the backup to: the current user, the user it was originally created in, or a new user. Wait for Proloquo2Go to finish restoring the backup. 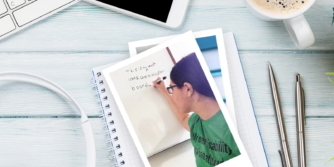 If you don’t see your backup in the list, please make sure that Proloquo2Go can access the Dropbox or Google Drive account the backup is saved in. To do this, go to Options > Services. Make sure the service you want is toggled ON. 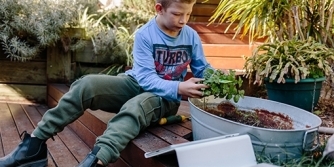 To change the account linked to Proloquo2Go, toggle the service OFF and then ON again. When you re-enable it, you will be prompted to select an account.